John Christie studied the relation of the boudinage, pinch and swell to the lineation and foliation in the aureole rocks. 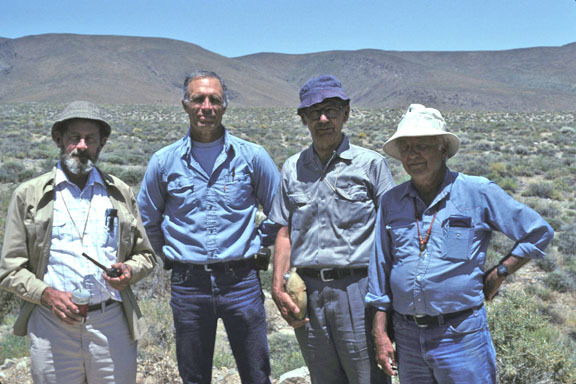 Art Sylvester studied the structural and metamorphic petrology of the aureole rocks. Gerhard Oertel studied the mesoscopic fabric of the granite. Clem Nelson mapped the regional structural and stratigraphic setting of the pluton.